William was Calum's and Jamie's great great great great great grandfather. As a young child, William grew up in Sconieburn watching his father John working as a weaver on an handloom, and ended up taking up the profession himself, which he worked at until the age of 19. William was recruited by Sergeant Robert Mckay of the Second Battalion on Saturday, March 25th 1797, a fortnight after his nineteenth birthday. From the battalion's recruitment book (NAS:GD/112/52/544), we get a detailed physical description of William. It tells us that he was aged 19 and born in the city of Perth in the County of Perth. He was five feet, eight and a half inches tall, had black hair, brown eyes, a fair complexion, and was a weaver by trade. I had the honour to receive your two letters and in answer to the first letter, I wrote the commanding officer mentioning that the most of my party were weavers by trade and some of them were committed to stay until they should find security to finsih and work the webs they had in the looms at the time they were inlisted; and indeed the greatest part of them had webs incurring fines at that period, which they were obliged to finish therefore I could not get them away until all these points were settled; but now I think it will be in my power to march 8 recruits from here on the 28th March to head quarters, and I expect they will arrive there in due time. On Monday, March 27th, 1797, Sergeant McKay was able to report in his weekly recruiting return that he had sent William and the other four weavers to Edinburgh, in the charge of a Corporal Stewart (NAS:GD/112/52/499). Curiously, all five of the weavers were listed in the return, but only William has his age, height and birthplace listed again, the details for the other four remained blank. William was stationed in Edinburgh Castle for several weeks, where he was taken as a private into Captain William Maine's Company, a company within which he was to serve until his eventual discharge. He is recorded as being present in the castle in the monthly return on May 27th 1797 (NAS:GD112/52/338). On June 17th, he is again found listed there, in the "Return of the Country age, size and time of service of Captain Maine's in Edinburgh Castle" (NAS:GD112/52/339). In this, he is described as aged 18 (not 19), 5ft 8inches tall, and born in Scotland, with the column for duration of service left blank. On the monthly return dated June 28th 1797, William is again listed in the castle at Edinburgh (NAS:GD112/52/340). At some point in the next three months, William and his comrades were ordered on a march to Fife. In the regulations on marches, we get an idea of how this would have occurred (NAS:GD/112/52/538). William is next recorded in the monthly company returns to headquarters for October 1797, in which we learn that he has now been billetted in St. Andrews, Fife, as part of Captain Maine's Company. Then, in the battalion muster at Kirkcaldy in April 6th 1798, we learn that William had been sent to St Andrew's, where he was detached as a private, from between June 24th until December 25th 1797. William's battallion had some 149 privates in it, and was under the command of a Captain David Williamson. From the adjutant's rolls at the Public Records Office in London (WO 13/3811), we learn that from 25th December 1797 to 24th May 1798 William was again quartered at St Andrew's, receiving an average monthly pay of one pound and eleven shillings. St. Stephen's is entirely for the Gaelic population, which is limited, and not for the inhabitants generally (p.117). The Gaelic chapel remained their church for a couple of years. Two and a half weeks after his wedding, the Times newspaper of February 21st records that the Second Battalion of the Breadalbane Fencibles had given a voluntary donation of 500L to the fund for national defence, in response to an appeal that had recently been made by the Prime Minister William Pitt. The General Order Book of the battalion in February outlines how each soldier, including William, had donated one day's pay each month towards the fund, and that the money raised from his battalion had been the highest within the various Perthshire corps. What had happened was a major political realisation on the part of William and the others who refused to go that they were not simply chattle, and that they did have the right to do as they believed was correct. These were the days when France and the United States had already rebelled against their rulers and had created republics for themselves after violent revolutions, and the same political thought was running riot throughout Britain. The rebellion in Ireland was a part of this political awakening. But William and his colleagues knew that their regiment had not been drawn up to put down the Irish - it had been created as a form of home guard to defend Scotland in the advent of invasion. They weren't going anywhere. William's wife Christian gave birth to their first daughter, Ann, on February 14th 1799. Ann's birth entry in the OPR for Perth again confirms that William had previously been a weaver before volunteering to join up. The staple manufacture of Perth is linen, and of late, a considerable quantity of cotton cloth. There are above 1500 looms employed in the town and suburbs; which manufacture of linen and cottons, annually, about L.100,000 sterling value. Besides this, there is at least L.120,000 sterling more in value of linen, purchased in the Perth market by dealers. These goods are wove in the surrounding country, and all pass through the hands of the traders in Perth, so that the total of the linen and cotton manufactures, amounts to about L.220,000 sterling. Perth woven wear included the renowned silesias, the fine linen used for handkerchief manufacture, as well as coarse fabrics for hat linings, umbrella linens and window blinds linens, and cotton shawl cloths, calicoes and muslins. But unlike the other established trades in the city, the Perth weavers did not have a trade guild, and had no right to be represented in the council or to exercise exclusive privileges. There was a friendly society, known as the Pomarium Weavers' Friendly Society, after the area in which it was based, created to help the families of the local area's weavers in times of difficulty, and William may have been a contributing member to this, as Pomarium was literally only a few minutes walk from Carrs Croft. Leonard Street, Powmarium (sic), the New Row, and the suburb of Earl's Dykes, are almost entirley occupied by weavers. Perth was long a place of great consequence in the linen trade: the manufacture of this article was very expensive, but it has now almost entirely given place to that of cotton. From this valuable plant, cloths of every fabric and quality are woven to a very large annual amour. Over the next few years, William and Christian set about the business of extending the family. John was born in 1801, followed by Betty in 1803, William in 1806, David in 1808, and Helen in 1813. 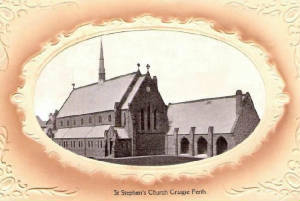 By 1806, the family had become members of the West Church congregation in Perth, and by 1813 had become members of the Middle Church congregation. The West Church, Middle Church and East Church were in fact different wings of the same original church, but had become separate congregations after the Court of Session divided the parish into three in 1807. In 1814, William and his family, along with many of Perth's citizens, were undoubtedly affected when the town was flooded. As a result of ice blocking the River Tay, the High Street was flooded on February 14th as far as the King's Arms, resulting in people having to travel through the town by boat. A ship was sunk in the town's harbour and five ships washed ashore, although no-one was killed by the disaster. In 1820, the Perthshire Courier recorded the death of William's father, John Paton, whilst walking on Marshall Place, near his home at Carr's Croft. No doubt the entire family would have been devastated at the sudden loss of the head of their family. In late 1831 or early 1832, William and Christian, living in Carscroft with their younger children, were soon rejoined by their son William and his new wife Joan Woodroffe, who had married in Edinburgh, where William had been working as a plasterer. Over the next three years, William and Joan were to have three children, and the cottage at Carscroft soon began to get increasingly crowded. Joan,as well as being a mother, no doubt helped Christian with the pirn winding to help William senior at the loom, whilst her husband continued to work as a plasterer in the town. Manufactures.- The manufactures of Perth consist principally of cotton-coloured goods, of which umbrella cloth is the staple. A great quantity of handkerchiefs, checked and striped ginghams, imitation Indian shawls, scarfs, trimmings, &c. are also woven. The number of weavers is about 1600, some of whom are employed by manufacturers in Glasgow and Paisley. But a considerable number are employed by manufacturers in Perth, Scone, Methven, and Milnathort. Most of the umbrella cloths are sent to London, Manchester, and other towns in England and in Scotland. But the other goods are generally exported to North and South America, the East and West Indies. Many of the shawl pieces are for the Turkey market. About fifty years ago, several enterprising individuals directed their attention to the manufacturing of cotton goods, - there being a demand for them in the market to a very encouraging extent. This gave employment to weavers. The number of these rapidly increased, as high wages were held out to the people who would engage in the trade, and as proficiency was very soon and very easily acquired. Besides capitalists in Perth, there were others in Glasgow who had agents here, employing weavers. But, owing to adverse circumstances and events, some capitalists failed, and others were necessitated to restrict their operations. The numbers of operatives thereupon diminished. Wages fell very low, and no small distress ensued. There can be no doubt of the fact, that the temporary prosperity of this branch of trade was chiefly owing to the too adventurous spirit of speculating individuals. Though it cannot be said to have yet revived, there are gentlemen among us, who, by sound and spirited application of skill and capital, are employing a considerable body of operatives. Life in Perth was becoming quite civilised in the early part of the 19th Century, and as such, the population rose, with a continuous influx of Highlanders from the surrounding districts drawn to the city. In 1821 the population was 19,068; by 1831 it had risen to 20,016. Gasworks were erected in the city in 1824, and a water supply for the city and its suburbs was built in 1830. Fairs.- There are two weekly fairs or markets in the city, on Wednesday and Fridays. That held on Friday is the principal one. The chief business is among the farmers of the neighbourhood, who convene at the cross, give and receive intelligence on the subject of current prices, or of whatever in any way affects the agricultural interests of the country. It is the day when butter, eggs, &tc are brought in for sale, and when, as was particularly the case in former times, housewives lay in their stock of provisions for the week. But there are also what may be called great fairs or markets in the course of the year. 1.The first of Luke (the first of hail ouk of March.) It is held on the first Friday of that month. Horses and cattle are sold at it. - 2.Palm-sun-even. It is held on the first Friday of April. Cattle, barley, lintseed, and grass seed are sold at it. - 3. Midsummer. It is held on the first Friday of July. It is a season of holiday enjoyment among the peasantry, when they repair to the town to meet with one another. Farm servants were formerly hired on this day. The sale of hores and cattle is usually great. - 4. St Johns Day. It is held on the first Friday of September. The principal articles sold at it are salted butter and cheese. - 5. Little Dunning or St Dennis. It is held on the third Friday of October. It also is a butter and cheese market, and is the understood time for hiring servants for the year. - 6. Andrews Mass. It is held on the 11th day of December. It is at this season that tenants of houses give up their leases, or enter on new ones for the following year. Cholera.- In 1832, the Asiatic cholera visited Perth, as it did many other towns in Britain. As in the visitation of the plague, the most effectual means that could be devised were adopted by the continued authorities to avert or mitigate the malady. A meeting of the the influential classes of the community was called. The meeting divided the town and suburbs into sections. To each of these a certain number of persosn was appointed, with authority to remove nuisances, and cause the house which required it to be thoroughly cleansed and purified. A temporary hospital was fitted up to receive patients; and competent medical officers were appointed to attend and take charge of them. A soup-kitchen was established, from which the poor of the place were supplied daily with broth and bread. The consequence of these precautionary measures was most beneficial. To them may be justly ascribed, under Heaven, the comparatively small number of cases that occurred. The deaths were 147. It is proper to mention, that, through the liberality of certain noblemen and gentlemen in the county, and of the inhabitants of the parish, no legal assessment was resorted to. The sum collected and expended was L.2091, 4s. 5d. (p.37). William's family may have escaped the cholera, but the next few years were to be tainted with grief, with the cottage and its primitive conditions laying host to a hotbed of disease for at least three years. On September 8th 1835, his wife, Christian, was the first to be affected, dying of tuberculosis (or "decline" as it is written in the burial register at the A.K,Bell Library). Three days later, on the 11th, she was laid to rest in the Greyfriars Cemetery in Perth, the city's communal burying ground. Soon after, William's two sons John and David erected a stone in her memory, which confirms that they were still living in Carscroft at the time (see below). But the situation was to deteriorate even further. On January 10th 1836, William's three year old granddaughter Joan (known as 'Ann'), who was living with him in Carscroft, died of whooping cough. Then on October 28th, a freak snow storm hit Perth, accompanied by a severe frost and wind, which decimated the county's potato and oats crops, which would undoubtedly have also hit William, who in addition to working as a weaver, would also have relied on the produce that he had to grow from his own croft. The winter of 1836 and early 1837 must have been a period of some hunger and sparcity for the family. William is listed for the first time in the Kirk Session minutes of November 1st 1835 as a communicant in the Perth East Church (GROS: CH2/584/1). In the following year, William had switched to the Middle Church parish, where he was listed as weaver living in Carscroft in the Kirk Session minutes for November 23rd 1836 (SRO: CH2/584/1). Perth the Nineteenth day of November One thousand Eight hundred and thirty six years _________ contracted William Paton Weaver in the West Church Parish of Perth and Elizabeth Balmain in the East Church Parish of Perth Daughter to Daniel Balmain Labourer there _________ Elder David Wilson. The Persons before married were regularly Proclaimed and Married the Seventh day of December said year by the Reverend John Findlay Minister of St. Paul's Church Parish of Perth. On November 6th 1838, tuberculosis was to claim its next Paton victim in the family, with the further death of William's son William (Joan's husband). And tragedy of a different sort ensued when a year and a half later, in April 1840, another of William's sons, John, died in an industrial accident whilst working in Linlithgow (see below). Within only five short years, the Paton family of Carscroft had been decimated, and despite his remarriage, William was undoubtedly a broken man, no doubt beginning to fear for his own mortality. It is not hard to see why such devastation visited the family in Carr's Croft when you consider the renatl books held by King James VI Hospital in Perth, which was the feudal superior of the properties on the row. The rental book from 1847 to 1865 shows that William had left the row at this point, though his brother John Paton was still resident at Number 4 Carr's Croft (where he stayed until July 1850), paying an annual rent for his cottage of £2 15s Sterling, in two separate payments of £1 7s 6d at the term days of Whitsunday (May 28th) and Martinmas (Nov 28th). From the rental book, a sorry picture is given of the state of Carr's Croft. John's house in 1858 was noted as being "in very bad order at front", with the adjoining cottages no better. Number 2, which was possibly William's cottage (being two doors up from John, as noted in the 1841 census) was noted in 1856 as "now in ruins and unlet"; Number 3 in 1861 as a "house in very bad order, tenant had to leave and no rent paid"; whilst number 9 in 1848 was simply listed as "fallen down". An interesting tale also was mentioned concerning Number 19 - "This tenement fell one stormy night in November 1848". Clearly Carr's Croft had been underinvested in for years by the feudal superiors at the Hospital, a situation which would not be rectified by them until the mid 1850s and early 1860s. In such a sorry state of repair, it would have been extremely difficult to keep healthy, and must be a good indicator of the levels of poverty that the family must have been enduring at this point, with the handloom weaving industry by now having all but collapsed. In the 1841 census, William is recorded as a 63 year old hand loom weaver, still living at Carr's Croft (recorded as Kerr's Croft), Perth, Perthshire, along with his wife, 45 year old Betty, and daughter, 24 year old Mary. Amongst William's neighbours in the other ten cottages of Carr's Croft are found his brother, John, aged 63, still a hand loom weaver; Jean, his wife, aged 60; and their son, John, aged 36, another hand loom weaver. At some stage between 1841 and 1847, William, and what was left of the family, finally left Carr's Croft altogether, no doubt the poor condition of their cottage finally becoming too much for them. On February 28th 1849, William Paton is found to have died at his home in Scott Street. He was buried a few days later on March 3rd in Greyfriars Cemetery, perhaps alongside his wife Christian, although the archives of the A. K. Bell Library do not list a lair number. To his final days, William remained a weaver, his occupation listed in the burial record (A. K. Bell Library/Perth and Kinross Council). It is not yet known what became of William's second wife Betty, though it is not believed that the couple had any children of their own. Perth, Thursday fourteenth February one thousand seven hundred and ninety nine was born Ann Paton, lawful daughter to William Paton weaver now soldier in the second battalion of Breadalbane's Fencibles and Christian Hay his spouse and baptised the twenty fourth of February said year by Mr Duncan MacFionlach Minister of the Gaelic Chapel in Perth. Perth, the thirteenth day of May, Eighteen Hundred and Twenty Five____contracted____Alexander McKay Shoemaker in the Middle Church parish of Perth, and Ann Paton in the East Church parish of Perth, daughter of William Paton, Weaver in Perth____Elder Dr Henderson____The persons before named were regularly proclaimed and married in the third day of June said year by the Reverend John Findlay, Minister of St. Paul's church parish of Perth. Of special note in the OPR record is the name of the elder, Dr. Henderson, who recorded the marriage contract. He was in fact Dr. William Henderson, Calum's and Jamie's great great great great great great uncle. It is not known when either Ann or her husband Alexander died, although it is currently believed that they both passed away before the advent of civil registration in 1855, as death certification for both of them cannot be found. It is also believed that the couple had only one child. Robert was born in Redgorton, Perthshire, and grew up to become a mason, perhaps inspired by his uncles, John and David Paton. In the 1851 census for Perth, Robert was listed as a mason, lodging at 38 Pomarium with the head of the house, 57 year old Jean Robertson, a cotton winder (GROS:. In 1852, Robert married Louisa Bennet in the Gorbals, Glasgow, and the couple had eight children, the first four in Glasgow, the second four in Stirlingshire. In 1860, Robert is living at 43 Garscube Road, Glasgow (son Robert's birth certificate), and in the 1871 census, Robert is listed as living at 40 Grove Street, in the St George parish of Glasgow. Robert died at 10pm on July 8th 1875, aged 46. He was living at 453 New City Road in Glasgow, and the cause of his death was muco enteritis, as suffered for six days, and as certified by Dr D.Sutton. Robert's son John Logan MacKay informed the registrar in Glasgow on the following day (GROS:1875/644/9/539). Robert's widow Louise eventually passed away herself in her home at 633 Dumbarton Road, Partick, at 5.30pm on September 19th 1903. The cause of her death was senile decay, as certified by Dr. Farquhar Gracie. 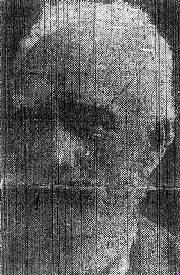 The informant to the Partick registrar was once more John Logan MacKay (GROS:1903/646/03/687). Born in the Gorbals, Sarah tragically died in her Glasgow home at 4.00pm on March 19th 1857, at the age of three. The cause was capillary bronchitis, from which she had suffered for 7 days, as certified by Dr Robert Renfrew. 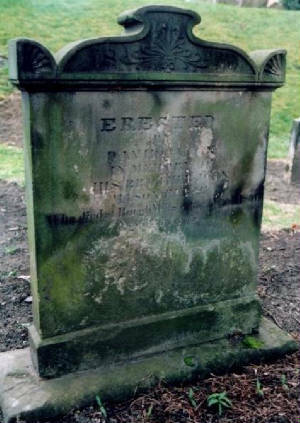 She was buried in Glasgow's Southern Necropolis, and her father informed the registrar on the 30th (GROS:1857/644/7/211). Hugh was born in Milton, Glasgow, but like his sister Sarah, was to die tragically young, at the age of 22 months. He passed away on April 3rd 1857 in Rosehall buildings, Burnside Street, Glasgow, the cause being broncho pneumonia, from which he had suffered for 17 days. Like his sister, he too was buried in the Southern Necropolis in Glasgow, and his father informed the Glasgow registry office on the day of Hugh's death (GROS:1857/644/7/256). On 29th November at 169 George Street Glasgow by Declaration in presence of Robert Brown Insurance Agent John Street Glasgow and William Petrie Insurance Agent 34 James Orr Street Glasgow. Married by warrant of Sheriff Substitute of Lanarkshire dated 29th November 1892. His wife Mary was the a domestic servant, the daughter of a boilermaker, William Cassidy, and his wife, Mary McCallum, both of whom were deceased at the time of their daughter's wedding. John's address at the time of the wedding was 22 Carrickarden Street in Glasgow, whilst Mary lived at 125 Onslow Drive. The wedding was registered in Glasgow. In the 1901 census we learn that John and Mary were by now living at 633 Dumbarton Road in Partick, and that John was still a stone mason. They had a son, John, living with them in their tenement, as well as John's mother Louise, now widowed. In this census, John's age was listed as 36 - he was in fact 43. This was not the first time his age was mistranscribed - in his wedding enrty in the atautory records, his age was listed as 29, when it should in fact have been 33. His wife's age at the time of marriage was listed as 22 - was he trying to cover up the age difference?! The age lie was maintained until his death in 1916, when he was recorded as being 53, when he was in fact 58. John died on August 28th, in the Paisley Poorhouse, although he had a usual address listed in the death entry, it being 3 Smith Street. The cause was chronic bronchitis and cardiac disease, as certified by Dr. M. Robertson. The informant to the registrar on the following day was J. Craig, the governor's clerk (GROS: 1916/573/1/1087). John's widow, Mary, went on to marry on two subsequent occasions. Her first marriage was to Robert Marshall, an engineer's storeman, whom she married in Paisley in 1919. After his death on Christmas Day 1928, Mary married John Rennie, a tanyard labourer. Mary died at 1.30am on July 22nd 1934 at the Paisley Infirmary. The cause was diverticulosis and diverticultitis, and an operation which she failed to survive, as registered by Dr. Harry B. Gibbs. Mary's husband John informed the registrar on the following day (GROS: 1934/573/1/722). John was born at 201 Gairbraid Street, Glasgow, Scotland on June 24th 1893. He eventually died on February 15th 1950 at 11 Knox Street, Paisley, Renfrewshire, Scotland. Robert was born at 7.30pm on January 31st 1860, at 43 Garscube Road, Milton, Glasgow. His father informed the registrar, James Smith, on February 6th (GROS:1860/644/17/125). Robert grew up to become a mason like his father and grandfather before him. On December 1st 1880 Robert married a domestic servant called Catherine Jackson at 65 Yorkhill Street in Glasgow. Catherine was born in Tarbert, Argyll, but raised in Motherwell, and was the daughter of Malcolm Jackson, a tailor, and Catherine Black. At the time of the wedding, Robert lived at 385 Garscube Road in the city, with Catherine living at the Yorkhill Street address. The minister to the couple was the Presbyterian Reverend John Manse Campbell, whilst the witnesses were James Neill and Isabella Jackson, Catherine's sister (Catherine's other siblings included Alexander, Hugh, Euphemia, Archibald, Elizabeth and Malmmina Jackson). The wedding was registered on the following day in Glasgow (GROS:644/10/273). The couple settled down to start a family, their first son being Robert Mackay, born in Tighnabruich Hills, Midlothian. They soon after returned to Glasgow, where their next three children Malcolm, Catherine and Louise were born. On June 6th 1888 the couple emigrated to the United States. After an initial stay in New York, where Robert helped to build the Metropolitan Life Insurance Company building, the family made their way to Boston, Massachussetts, and in 1892 moved on towards the township of Springfield, Hampden, Massachussetts, where Robert then built a house for himself and his family. They lived initially in a house in Springfield, Massachussetts, which Robert built himself. In 1904, Robert died of lung problems (related to his trade as a mason) at the age of 44. He was buried on December 16th 1904 in Wachogue Cemetery, Springfield, located at 1402 Allen Street. Robert was born in Tighnabruich, the Kyles of Bute, Scotland. Robert emigrated to the USA when he was seven years old, and eventually married a Scottish girl in the States, Cupar born Jessie Fiddes Nicole (23/1/1880 - 20/2/1947), on August 5th 1903. The couple had met in approximately 1900, when Robert had gone to work in New York. Robert eventually died on June 7th 1939 in Los Angeles California, and is buried in Inglewood Park Cemetery, Los Angeles. Victor was born in Springfield, Massachussetts, USA. 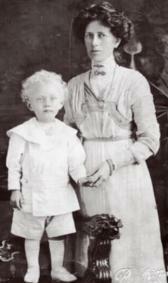 He married Minnie M. Gray (b: 27/5/06) and had four children. The first, Douglas Alan Curtis (16/10/1955 - 13/5/1956), died in infancy in his home town of Downey, Los Angeles. Of the other three, one of them married a partner by the name of Kiler, this couple having two children of their own (names unknown). Malcolm was born in Glasgow, Lanarkshire, Scotland, and emigrated to the USA aged five. He married Clara Bell Hosford (28/10/1886 - 29/11/1966) on April 30th 1907 in Springfield, Massachussetts. Malcolm patented the copper wire process to make paper in Grand Rapids, Michigan, and was founder of Mackay Wireworks in the state. Malcolm eventually died of congestive heart failure on March 10th 1959, in Kalamazoo, Michigan. He is buried in Indianfield Cemetery, Kalamazoo. Malcolm was born in Kalamzoo, Michigan, USA. He became a school principal, and married Constance 'Connie' Hienga in 1933, the couple then going on to produce two children, who married partners with the surnames Kuyers and Margaret, and who produced five children of their own (names unknown). Malcolm eventually died in 1998 in Kalamazoo. Hale was the founder of Mackay Industrial Sales. He was born in Kalamazoo, Michigan, and died in Grand Rapids, Michigan. He married and had two children. Philip married Susan, who contacted us in October 2008, and helped to flesh out the American side of the family some more, for which we are extremely grateful. From Susan we learn that Phil had a business where he took people back to Ireland and also a shop that sold Edinburgh Crystal. He was also previously a Vietnam veteran, where he served as a helicopter pilot. Philip passed away on June 25th 2000. Benjamin currently resides in the Unites States. Rose is married to Russell Smith, with whom she has three children. Catherine was born in Glasgow, Lanarkshire, Scotland. She emigrated to the USA at the age of three, and eventually married John Short Proctor (b:1882) on August 8th 1903 in Springfield, Massachussetts. Catherine died of a sudden heart attack on April 19th 1925, and was subsequently buried in Oak Grove Cemetery. Robertina was born in Springfield, Massachussetts. She went on to marry George Albert Leyner on October 27th 1932 in Marble Collegiate Church in New York City's Fifth Avenue. The minister was Dr. Norman Vincent Peale. The couple then had two children (one of whom married a partner with the surname Eiseler), and at least two grandchildren (names unknown). Robertina died in January 1966 from cancer of the breast. Born in Glasgow, Lanarkshire, Scotland. Although she emigrated to the States with her parents, she eventually died somewhere in Britain in 1961. Louise married Clarence Sinclair Monteith Scaife on April 19th 1906 and the couple then had two children. Louise eventually died on August 9th 1961 in Springfield, and was buried in Hillcrest Cemetery. Mary married George Barry (b: 12/3/1911). She eventually passed away in Springfield. George was born in Springfield, Massachussetts, USA, and his social security number was 016-10-5892. George married a woman with the surname Salvas, and had four children with her, who produced at least three kids of their own (names unknown). Linda was born in Springfield, Massachussetts, and died at the age of 34 in Boston, reason unknown. She had one child, name unknown. Married twice, and has three children. David was born in Boston, Massachussetts, USA. He married Cora Adalaide "Addie" Butler on June 4th 1921 in Springfield, and had one son. David died in Enfield, Connecticut, in December 1980. David owned and ran a trucking company in Springfield, called New York - Massachussetts Motor Service, along with his brother Archibald. He visited Cheri Beauregard's family each Saturday morning, usually bringing a bunch of bananas because she liked them so much. Donald was born in Springfield, Massachussetts, and died in Niantic, Connecticut, aged exactly 66 years. He married a lady by the surname Payne, and had two children with her (names unknown). One of the children married a partner by the name of Sikes, and had three children (names unknown). Euphemia was born in Springfield, Hampden, Massachussetts, USA. She married Wilfred Louis Fillion on March 6th 1920 in Springfield. Euphemia later remarried to Robert (Israel) Arthur Beauregard on February 18th 1928, in Los Angeles, California. Phay was born in Philadelphia, Pennsylvania. She married Earl James Moore (b: 21/12/1919) and had four children with him. Lawrence died in a car accident in 1964 in Rosemead, California, USA. After his death, the facts of the accident were withheld from the family to protect them, as the police had mishandled the inquiry. He was buried in Tehachapi, California on February 14th, 1964. This daughter of the family married twice, to a gentleman with the surname Young, and then to another with surname Gideon. She had/has two sons and a daughter. The first son married twice, to a Hagen and a Coleen, and has two kids. The second son married someone with the surname Bonnie, and has a child. The daughter married someone with the surname Deem, and has two children (all names unknown). From Cherie Reisman- "David retired from Division IX Fire Department of Los Angeles County on May 6, 2000. David was hired in 1966 and steadily climbed the promotion ladder to the rank of Battalion Chief in 1993. He always gave his heart and soul in each assignment that he took on. As BC17 he would visit every station in the largest battalion in the county, driving 350 miles per day. Apparently he loves to travel and plans to do a lot as a retiree." David married a lady by the name of Frye, and has two sons and daughters. The sons married partners with the surnames Salazar and Melissa, whilst the daughters married partners with the surnames Hatfield and Plant. Each of the couples has two children - eight grandchildren in total. Cheri was born in Los Angeles County Hospital. She is a master's prepared nurse practitioner by trade, and is married to Irvine Reisman. She is also a member of the Church of Lattrer Day Saints, and it is through her enquiry in November 2001 that has led to our acquiring so much informnation about the American Mackay families, direct descendants of Calum's and Jamie's great great great great great grandfather, William Paton. For all her hard work and research, we are eternally grateful. Cheri can be contacted by e-mail at the following link: Cheri Reisman. And Cheri's resarch can be accessed on Rootsweb at: Cheri's GEDCOM file. Dan was born in California, USA. He is married to Misty Zibetti. Dan was baptized at the Presbyterian Church, Whittier, California, and became a member of the Church of Latter Day Saints in 1987. Dan's wife Misty is currently studying web design, and her home page can be accessed at the following link: Misty's Web Designs. Ruth was born in California, USA, and baptized at the Church of Religious Science, Whittier, California. She is married to Mark Yaddow, with whom she has a daughter, Erica Brock Yaddow, born February 1998. Born in Springfield, Hampden, Massachussetts, USA. Born in Springfield, Hampden, Massachussetts, USA. Owned New York - Massachussetts Motor Transport Company with his brother David. He married Hilda Boulden on September 19th 1922 in Perryville, Maryland. After his death, he was buried in Hillcrest Cemetery, Springfield. Alexander was born in Springfield, Hampden, Massachussetts, USA, but died four days later. Born in Springfield, Hampden, Massachussetts, USA. Donald died of hypothermia in Watershop Pond, after saving his girlfriend who had fallen through the ice. He did not survive, dying at the age of 16 years old. Louisa was born in Larbert, Stirlingshire in 1863. She is found in the 1881 census at 385 Garscube Road in Glasgow, aged 17, living with her younger brother David and her mother Louisa. Under the column for occupation, she is simply listed as "none, incurable" (Cen:1881/644/8/55/15). By 1881, Louisa had become ill with bronchitis, and things were to slowly get worse for her over the next year. Throughout 1882, Louisa and her brother David were both seriously ill. On August 19th, David died of severe diahorrea. Louisa was herself now desperately ill with chronic bronchitis, and liver disease which had started six months prior, as treated by her doctor, Robert Orr. Just over four weeks after the death of her brother, Louisa was herself to tragically die at the age of nineteen, on September 21st at 3.50pm at her home, 370 Garscube Road, in Milton, Glasgow. Her distraught mother informed the Glasgow registrar on the following day (GROS:1882/644/08/644). David was born in Larbert, Stirlingshire in 1865. In the 1881 census, David was living at 385 Garscube Road in Milton, Glasgow with his mother and his sister Louisa. Like his sister, David was listed as incurable, and not working as such. David tragically died at 5pm on August 19th 1882 after 14 days of diarrhoea at the age of 16, as certified by Dr Robert Orr. He had been training as an apprentice iron dresser and was single, and was living at 371 Glasenbe Road (sp?) in Glasgow. His death was registered by his mother two days later in Glasgow (GROS:1882/644/8/567). Carscroft in the Parish of Perth Monday the Eighteenth day of May One Thousand eight hundred and one was born John Paton lawful son to William Paton weaver in Carscroft and Christian Hay his spouse and baptized the Twenty fourth day of May said year by the Reverend Mr. John Duff Minister of the Gospel in Perth. "Placed by John and David Patton, masons in Carrs Croft in memory of mother Christian Hay died 8th August 1835, aged 58 years"
A search of the graveyard in 2001 failed to turn up the stone - it has either been removed or has been overgrown. 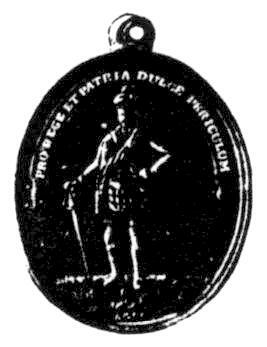 At Linlithgow, on Saturday last, while John Patton, mason, eldest son of William Patton, Cars Croft, near Perth, was removing some tools from one part of the work at which he was engaged to another, and while passing an excavation, the ground gave way, and he was precipitated to a considerable depth. A lump of rock followed his fall, and bruised him severely, while a pick-axe which he was carrying cut literally almost through his head. He only survived the accident an hour and a half. He was a young man, and remarkably kind and obliging in his disposition. A high mark of respect was paid to his memory by the whole body of workmen attending his remains to their final resting place. John's body was taken into the centre of Linlithgow and buried in the graveyard of St Michael's Church, beside Linlithgow Palace (birthplace of Mary, Queen of Scots), with his brother once again having to perform the solemn duty of recording the death of a member of his family. The only other information that can currently be gleaned about John is that it appears that he never married. Carscroft, in this parish Saturday the twenty third day of May one thousand eight hundred and three was born Betty Paton, lawful daughter to William Paton, weaver in Carscroft and Christian Hay his spouse and baptised the twenty second day of May said year by the Reverend Mr John Duff, minister of the gospel in Perth. On February 3rd 1826, Betty married tobaconnist James Murray in Perth, and went on to raise a family with him. Their first child, John, was born in 1826, followed by William in 1828 and David in 1829, although he died in infancy. James was next in 1831, with another David in 1834, though again, it is believed that he died in infancy, as did his sister Christian born in 1836, she having been named after her grandmother who had tragically died a year earlier. In 1838 Ann was born, followed in 1840 by Sarah Straten Murray, who was named after her great grandmother, Sarah Straitton. In the 1841 census, Elisabeth is found in the St. Leonard's district of Perth, though an address is not given. She was described as a 38 year old woman from Perthshire, and was resident alongside her husband James, aged 36 and described as a shop keeper. Also listed were several of her children - 15 year old John, described as a coach builder, 13 year old William, 10 year old James, 3 year old Ann and 1 year old Sarah (Cen:1841/387/0/33/0/31). At some stage between 1841 and 1849, Elisabeth and James relocated to Glasgow, taking up residence at 7 Killermont Street in the city centre. At 7 Killermont Street, on the 11th instant, Mr. James Murray. The cause of death is unknown, but from his surviving testament we learn that James was in fact a very wealthy individual, a partner of the tobacco firm Hugh McFarlane and Company. 1. The Household furniture, wearing apparel and other effects belonging to the deceased at the time of his death and situated in the House occupied by him conform to Inventory and Valuation by George Railton licensed appraiser____________£59..6..
At Glasgow the eighth day of May 1849. In Presence of George Shane Esquire Commissary Depute of Lanarkshire Appeared Mrs Elizabeth Paton or Murray relict of the deceased James Murray Tobacconist in Glasgow who being solemnly sworn and examined Depones that the said James Murray died intestate at number seven Killermont Street of Glasgow on or about the 11th day of January 1849. That the Deponent is about to enter upon the possession and management of his personal or moveable Estate as Executrix dative qua relict decerned to the said James Murray by the Commissary of Lanarkshire conform to Decree Dative to that effect pronounced on the 31st day of the said month of January and year last mentioned: that the Deponent knows of no settlement or other Writing left by the deceased relative to the disposal of his personal estate or effects or any part of them: That the foregoing Inventory which is signed by the Deponent and the said Commissary is relative hereto is a full and complete Inventory of the personal estate and effects of the said deceased wherever situated & belonging or due beneficially to the deceased at the time of his death in so far as the same have come to the Deponent's knowledge, and that the Value of the said estate situated in Scotland is of the Value of £800 and under the Value of £1000 Sterling. All which is truth as the Deponent shall answer to God (signed) Elizabeth Murray George Shane Commissary Depute. In the 1851 census, Elisabeth is still living at 7 Killermont Street in Glasgow, where she is recorded as Mrs James Murray, 46 years of age, a fundholder born in Perth, Perthshire. With her were two of her daughters, Ann, aged 13 and described as a scholar, and Sarah, also a scholar and 11 years of age. Both were noted as being born in Perth. Interestingly, there is another person also listed at the house, a 23 year old clerk in the woolen trade, Robert Balden, from Bolton, Haddington. Robert would soon be the cause of a family scandal, when at the age of 27 in 1854, he got 14 year old Sarah pregnant, marrying her when she was five months gone, presumably after being discovered as the culprit (Cen:1861/622/0/33/0/14). Seven years later, the 1861 census shows us that Elisabeth was still at 7 Killermont Street, but now living in her own appartment, with her daughter Sarah and her son in law Robert Balden living in another room of the same tenement building. In this census, 57 year old Elisabeth was again noted as a Fund Holder from Perth, with the apartment she was in being noted as having two rooms with one or more windows (Cen:1861/644/1/105/1/3). In the 1871 census, Elisabeth is found to be living alone at 188 Rose Street in Govan, where she is listed as a 66 year old widowed annuitant, born in Perth, Perthshire (Cen:1871:644/10/57/10/17). Elisabeth eventually died at 5.00pm on April 12th 1875, at her home of 10 South Shamrock Street in Hutchesontown, Glasgow, Scotland, the cause being general debility with no medical attendant present. Elisabeth is at this point noted as being the widow of James Murray, a tobacco manufacturer, and the daughter of Christian Hay and William Paton, with her father described as a fisherman. This is significant, as it is the first and only mention of William being a fisherman as well as a weaver, which has already been established as the situation of both his brother and father who also lived at Carr's Croft (they were both salmon fishermen). The informant to the Glasgow registrar on the 13th was Elizabeth's daughter Sarah Straten Balden (GROS:1875/644/11/378). John was born on August 31st 1826 and christened in the city on September 20th. On October 6th 1848, John married Mary Munro in Perth, with the banns having been previously called in Perth and St. Quivox and Newton in Ayr (September 24th 1848). The couple went on to have at least nine children. John died on October 31st 1874 at his home of 162 Hospital Street, Glasgow. 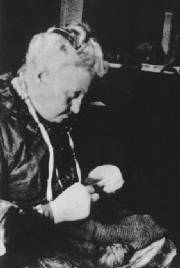 He is listed in the death record as being a 48 year old tobacconist, and as being married to Mary Munro. The cause of death is listed curoiously as "not ascertained", with no medical attendant. His son, James Murray, was the informant to the Glasgow registrar on November 2nd (GROS:1874/644/10/1368). James was born in the Gorbals, Lanarkshire, Scotland on April 1st 1850, and christened on the 14th. Thomas was born in the Gorbals, Lanarkshire, Scotland on October 2nd 1851, and christened in November. He died in infancy. 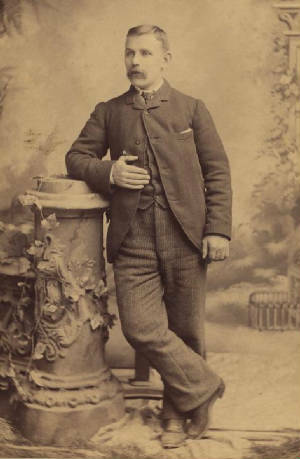 This Thomas was born on July 9th 1855 in Hutchesontown, Glasgow, Lanarkshire,Scotland. Mary was born in Hutchesontown, Glasgow, Lanarkshire, Scotland on July 22nd 1857. William was born in Hutchesontown, Glasgow, Lanarkshire, Scotland on May 24th 1859. David was born in Hutchesontown, Glasgow, Lanarkshire, Scotland on February 4th 1863. Charles was born in Hutchesontown, Glasgow, Lanarkshire, Scotland on July 5th 1865. Robert was born in Hutchesontown, Glasgow, Lanarkshire, Scotland, on February 26th 1868. William was born in Perth on May 29th 1828 and christened in the city on June 1st. David was born in Perth on November 17th 1829 and christened in the city on December 6th. However, it is believed that he died in infancy, as another brother called David was born to the same parents five years later (see below). James was born in Perth on October 2nd 1831 and christened in the city on October 16th. David was born in Perth on October 17th 1834 and christened in the city on November 23rd. Christian was undoubtedly named after her grandmother, Christian Paton (nee Hay), who died in the previous year. She was born in Perth on August 21st 1836, and christened in the city on September 11th. Ann was born in Perth on April 1st 1838 and christened in the city on May 6th 1838. Sarah was born in Perth on May 23rd 1840 and christened in the city on June 14th. Sarah married mercantile clerk Robert Balden, from Haddington, on November 29th 1854, in the Barony parish of Lanarkshire. It would appear that she married at such a young age because she was five months pregnant. In December 1856, Robert was recorded in the Edinburgh Gazette as being a merchant's clerk, witnessing the signatures of William Craig and Robert Craig, during a reconstitution of the firm (Ed. Gaz. 5 DEC 1856, p. 1102). In the 1861 census, Sarah was recorded as a 20 year old wife of Robert Balden, resident at 7 Killermont Street in Glasgow, alongside her family and her mother (Cen:644/1/105/Glasgow Central District/p.3). On December 30th 1870, Sarah's husband Robert was listed as a Commissioner in the sequestration of David Chassar Jr., Tailor and Clothier in Glasgow and Coatbridge. Robert's occupation was noted as 'cashier' (Ed. Gaz. p. 1587). In the 1871 census, Sarah was then listed as a 30 year old wife to a woollen merchant, born in Perth, Perthshire, and resident at 191 North Hanover Street, Glasgow (Cen:644/1/26/Glasgow Central District/p.1). In reference to the above notice, Mr John R. Craig begs to intimate that he will continue to carry on the business at the same address, and under the same Firm, in partnership with Messrs. Robert Balden, William Hodge and Robert Paterson Craig, all of whom were in the employment of the late Firm, and had charge of Departments of their business for the last twenty years and upwards. JOHN BLAIR, deceased, lately Tailor and Clothier, Busby. A PETITION has been presented to the Commissary of the County of Renfrew by Robert Balden, Wholesale Woollen Cloth Merchant, Argyle Street, Glasgow, a Partner of the Firm of Craig Brothers, Wholesale Woollen Cloth Merchants there, praying his Lordship to decern the said Robert Balden Executor dative qua Creditor to the deceased.- Of which Notice is hereby given, in terms of the Act 4 George IV., cap. 98. ROB. RUSSELL, Writer, Paisley, Agent. Robert eventually retired from the firm on May 20th 1879, as noted in the Gazette of June 13th 1879 (p. 606). In the census of 1881, Sarah is further described as a 40 year old Perth born wife, living with her family at 21 Granville Street, Glasgow. Her husband Robert was again listed as a 53 year old woollen warehouseman, from Bolton in Haddington. (Cen:1881/644/9/106/4). In May 1893, Sarah was one of the benificiaries of her Aunt Margaret's will (Margaret being the wife of her uncle David Paton). After Margaret's debts were paid, her will stipulated that Sarah should receive one sixth of the remaining value of her estate. Perhaps Margaret was especially sympathetic to Sarah with regard to her situation? She was certainly the only member of the Paton family to benefit from the will. Sarah eventually passed away at 1.40am on May 7th 1894 at her home of 21 Granville Street, St. George's Road, Glasgow. The cause was acute peritonitis, suffered for ten hours after she collapsed, as certified by Dr. Archibald R. Gunn. Her husband informed the Glasgow registrar on the same day (GROS:1894/644/9/485). Robert tragically passed away himself just a few months later, at 5.30am on November 18th 1894, also in the Granville Street home. The cause was bronchopneumonia suffered for 21 days and syncope, as certified by Dr. Archibald R. Gunn. His son Peter informed the registrar of the death on the following day (GROS:644/9/1095). James was born at 71 Killermont Street in the Central District of Glasgow, Lanarkshire, at 3am on March 6th 1855. The certificate tells us that James was the son of 26 year old Robert Balden, a mercatile clerk from Haddington, and that this was his mother Sarah's first child, though interestingly she was described as being 16 years of age. The informant to the Glasgow registrar was James Barden (GROS:1855/644/01/415). In the 1861 census, James was listed as a six year old living with the family at 7 Killermont Street, Glasgow (GROS:1861/644/1/105/p.3). In 1871, he was recorded at 191 North Hanover Street, Glasgow, where he was listed as a 16 year old insurance clerk (GROS:1871/644/1/26/p.4). In the 1881 census, James was living with the family at 21 Granville Street, Glasgow, and was described as being an unmarried insurance agent (GROS:1881/44/9/106/4). On August 14th 1890, James married 30 year old Margaret Currie, daughter of Chief Officer of HM Coast Guard Daniel Currie (deceased) and Harriet Kitching. Maureen was resident at 232 Great Western Road, Glasgow, whilst James, a cashier, was living at 21 Granville Place in the city. The ceremony, peformed by the Reverend Hugh Ross according to the rites of the Church of Scotland at the Bath Hotel on Bath Street, was witnessed by William Balden and Elizabeth Jane Reid. The marriage was registered in Glasgow on the 16th (GROS:1890/644/7/422 Blythswood). In the 1901 census, James and his wife were recorded with their nine year old son, also called James, at 5 Doune Quadrant, Maryhill, Glasgow. James was listed as a 46 year old cashier. Also in the house was 21 year old servant Christina McLeod, a servant from Obbe in North Uist, who could speak both Gaelic and English (GROS:1901/622/1/001/Maryhill/p.10). James' wife Margaret passed away on March 17th 1928 at 4 Park Gate, Glasgow, with her usual residence being 5 Doune Quadrant. The cause was phlebitis, as suffered for 14 days, and a cerebral embollism suffered for a quarter of an hour, as certified by David MacDonald. James informed the Hillhead registrar on the same day (GROS:1928/644/12/309). James eventually died himself at 1.55am on March 5th 1943, at 6 North Gardner Street, Glasgow. The cause was arterio sclerosis, suffered for 10 years, and senility and myocarditis, as certified by Thomas G. Rennie. The informant to the Hillhead registrar on the same day was his son, James C. Balden (GROS:1943/644/13/242/Hillhead). James was born at 1.00am on November 22nd 1891 at 4 Holyrood Quadrant, Glasgow. His father, listed as a cashier, informed the registrar at Kelvin, Glasgow, on December 10th (GROS:1891/644/9/1757). In the 1901 census, James was found living with his parents at 5 Doune Quadrant, Maryhill, where he was noted as a scholar (GROS:1901/622/1/001/10). On April 17th 1930, James, by now an accountant residing at 5 Doune Quadrant, married 33 year old Isabella Marshall Stark Hempseed, daughter of pawnbroker James Hempseed and Isabella Marshall Shanks Stark (deceased). The wedding was held at Kelvinside Church, Botanic Gardens, Glasgow, and was performed by the Reverend Thomson. The witnesses were A. N. Turner and Else H. Lubbins. The service was registered at Hillhead on the 23rd (GROS:1930/644/12/83). However, all did not go well between the two, and at some stage prior to 1948, James divorced Isabella. (She went on to work as a school teacher in Glasgow, and eventually passed away on January 11th 1967 at 4 Highburgh Road, Glasgow. James eventually died on June 28th 1948 at 2.00am, at his home of 6 North Gardner Street, Glasgow. His death entry tells us that by then he had been working as a clerk with the Forestry Commission, and had retired. The cause of his death was chronic nephritis as suffered for 20 years, myocarditis, suffered for 3 years, and cardiac failure, as certified by Thomas Rennie. The death was registered at Hillhead on the 29th by James' solicitor John Edward (? ), resident at 95 Beith Street (GROS:1948/644/13/605). James and Isabella had no children. Elisabeth was born in the Central District of Glasgow, Lanarkshire, on January 19th 1857. In the 1881 census, 24 year old Elisabeth was living with the family at 21 Granville Street, Glasgow (GROS:644/9/106/4). In 1891, Elizabeth was note as still being unmarried at the age of 34, with no vocation, resident at 21 Granville Street (GROS:1891/644/9/119). With both parents deceased, in the 1901 census, Elisabeth was listed as the head of the household at 21 Granville Street, Glasgow, aged 44, and described as a vocalist. Their house had 6 rooms with one or more windows (GROS:644/9/103/9/16). On July 14th 1905, at 29 Queen Margaret Drive, Glasgow, Eilzabeth married 48 year old Thomas Finnie, a tailor's cutter, and son of deceased gamekeeper Bertram Finnie and Margaret Hamilton, also deceased. The service was performed according to the rites of the Church of Scotland, and was witnessed by John Henry Pritchard and Elisabeth's sister Alison Balden, and the ceremony was performed by the Reverend Hutcheson, minister of St. Cuthbert's Church of Scotland. At the time of the wedding, both Elisabeth and her fiance were residing at 29 Queen Margaret Drive (GROS:1905/622/1/186). Elisabeth eventually died at 2.35am on November 20th 1932 at 63 Possil Road, Glasgow, with her usual residence listed as 27 West End Park Street in the city. The cause of death was noted as cerebral thrombosis, as noted by Dr. Richard P. Butler. The informant to the Glasgow resgistrar on the 21st was her widowed husband, Thomas (GROS:1932/644/13/543). John was born in the Central District of Glasgow, Lanarkshire, on October 7th 1859. In the 1881 census, John was living with the family at 21 Granville Street, Glasgow, and was described as being a cloth merchant's clerk (GROS:1881/644/9/106/4). On August 24th 1883, 26 year old John, by now wholesale draper's book keeper, is recorded in the register of marriages as having married 26 year old Jessie Buchan, daughter of master brass founder Hugh Buchan and Mary Dunn. The marriage was noted as having been performed irregularly by declaration with a warrant from the Lanarkshire sheriff substitute. At the time of the wedding, held at 70 Bell Street, Glasgow, John was still resident at 21 Granville Street, whilst Jessie resided at 112 Gloucester Street in the city. The witnesses to the ceremony were James Muir Steel, a bank clerk, and Robert Sloan, a wholesale draper's clerk. The marriage was recorded in the Blackfriars register on the same date (GROS:1883/644/5/146). BALDEN-BUCHAN - At Port Elizabeth, South Africa, on the 13th August, by the Rev. Robert Johnston, Scotch Presbyterian Church, John Balden to Jessie, daughter of Hugh Buchan, brassfounder, Glasgow. Robert was born in the Central District of Glasgow, Lanarkshire, on August 17th 1862. In the 1881 census, Robert was living with the family at 21 Granville Street, Glasgow, and was described as being an accountant's clerk (GROS:644/9/106/4). William was born in the Central District of Glasgow, Lanarkshire, on February 18th 1865. In the 1871 census, William was listed as a six year old scholar resident at 191 North Hanover Street, Glasgow (GROS:1871/644/1/26/4). In the 1881 census, William was living with the family at 21 Granville Street, Glasgow, and was described as being an accountant's clerk (GROS:1881/644/9/106/4). In 1891 he was still an unmarried clerk, now 24, and still residing at 21 Granville Street (GROS:1891/644/9/119). William never married and lived his life working as a railway clerk. He eventually died at 11.48pm on February 24th 1919 at 51 Rupert Street, Glasgow. The cause was pulmonary tuberculosis as certified by Arthur Innes, and the informant to the Hillhead registrar on the 25th was his brother Peter Gibson Balden, resident at West View, Milngavie (GROS:1919/644/12/282). Alison was born in the Central District of Glasgow, Lanarkshire, on August 8th 1867. In the 1871 census, Alison was listed as a three year old residing at 191 North Hanover Street, Glasgow (GROS:1871/644/1/26/4). In the 1881 census, Alison was living with the family at 21 Granville Street, Glasgow, and was described as being a 13 year old scholar (GROS:1881/644/9/106/4). By 1891, Alison was now a 23 year old unmarried woman, with no listed vocation residing still at 21 Granville Street (GROS:1891/644/9/119). In the 1901 census, Alison was listed as 33, and as still living at 21 Granville Street, Glasgow, where, like her elder sister Elisabeth, she was recorded as a vocalist (GROS:644/9/103/9/16). In 1905, Alison was a witness to her sister Elisabeth's wedding to Thomas Finnie at 29 Queen Margaret Drive in Glasgow (GROS:1905/622/1/186). She was also to later become a witness to her sister Martha's wedding to James MacDougall in 1910. Alison, however, never married and eventually passed away at 7.45pm on July 24th 1954, at 7 Park Circus Place, Glasgow, with her usual residence listed as 30 Westbourne Gardens in the city. The cause was a cerebral thrombosis, as certified by Dr. John Warren. The informant on the 26th was Alison's nephew H. MacDougall, of 1 St. James Mansions, West End Lane, London (GROS:1954/644/9/364). At 91 Hanover Street, on the 13th instant, Mrs Robert Balden, a son. In the 1881 census, Peter was living with the family at 21 Granville Street, Glasgow, and was described as being a scholar (GROS:644/9/106/4). In the 1891 census, 21 year old Peter was recorded as a clerk at the same address (GROS:1891/644/9/119). On November 19th 1894, Peter informed the Glasgow registrar of his father's death (GROS:1894/644/9/1095). In the 1901 census, Peter was recorded as a mercantile clerk, resident at 21 Granville Street, Glasgow (GROS:1901/644/9/103/9/16). On February 25th 1919, Peter informed the Hillhead registrar about the death of his brother William. Peter never married and finally died in 1939, in the Ayrshire town of Largs (where Calum and Jamie live today). He was found dead at 22 Brisbane Glen Road at 1.30pm on June 16th, having last been seen alive at 10.00pm the night before. His usual residence was noted as Buchanan Street in Milngavie, and the cause of death was noted as "probably heart failure". His death was registered on the information of the local procurator fiscal in Largs on the 18th (GROS:1939/602/1/61). David was born at 10.45pm on December 12th 1871 at 91 North Hanover Street, Glasgow. His father, a woollen cloth merchant, informed the central district registrar on the 27th (GROS:1871/644/1/2454). In the 1881 census, David was living with the family at 21 Granville Street, Glasgow, and was described as being a scholar (GROS:644/9/106/4). In 1891, he was listed as a 19 year old clerk at the same residence (GROS:1891/644/9/119). In the 1901 census, David, was recorded as a mercantile clerk, still resident at 21 Granville Street, Glasgow (GROS:1901/644/9/103/9/16). A marriage and death record have not been found for David in Scotland. Martha was born at 11.30 on January 1st 1874 at 91 North Hanover Street, Glasgow. Her father, a woollen cloth merchant, informed the central district registrar on the 5th (GROS:1874/644/1/29). In the 1881 census, Martha was living with the family at 21 Granville Street, Glasgow, and was described as being a scholar (GROS:1881/644/9/106/4). In 1891, 16 year old Martha was noted as a 16 year old millworks accountant at the same address (GROS:1891/644/9/119). In the 1901 census, 27 year old Martha was again recorded at 21 Granville Street, Glasgow, as a baker's shopkeeper (GROS:644/9/103/9/16). On June 9th 1910, Martha married 37 year old commercial traveller James D. MacDougall, son of clothier Alexander MacDougall and Ann Eleanor McKim (deceased). The wedding took place at the Bath Hotel in Glasgow, and was witnessed by Andrew Paul and Martha's sister Alison Balden, with the minister presiding being the Reverend Donald MacLeod. At the time of the marriage, Martha was resident at 17 Montague Street, Glasgow, whilst James was living at 4 Kelvingrove Street. The Glasgow registrar was informed on the 10th (GROS:1910/644/10/587). This son of the couple registered his aunt Alison's death in Glasgow in 1954. At the time of her death, he was resident at 1 St. James Mansions, West End Lane, London (GROS:1954/644/9/364). He also later registerd his mother's death in Glasgow on February 10th 1969 (GROS:1969/644/3/123). Norman was born at 8.45pm on November 3rd 1876 at 273 St. George's Road, Glasgow. His father, a woollen cloth merchant, informed the Kelvin registrar (GROS:1876/644/9/1466). In the 1881 census, four year old Norman was living with the family at 21 Granville Street, Glasgow (GROS:1881/644/9/106/4). In the 1891 census Norman was recorded as a 14 year old jeweller's apprentice (GROS:1891/644/9/119). In the 1901 census, Norman was recorded as a 24 year old accountant's clerk, still resident at 21 Granville Street, Glasgow (GROS:644/9/103/9/16). On April 2nd 1898, Norman M. Balden is noted as a clerk in the Glasgow Herald, and as a subscriber to a business called Frank H. Brown and Co. Ltd, the company having just been registered in Edinburgh. He is further recorded in the newspaper on Saturday December 2nd 1899 as a subscriber to Anglo-Spanish Quicksilver (Limited), and as an accountant resident in Glasgow. A marriage and death record have not been found for Norman in Scotland. Walter was born at 0.30pm on December 13th 1880 at 21 Granville Street, Glasgow. He was one of a pair of twins, the other being Arthur. His father, listed as a woollen warehouseman, informed the Kelvin registrar on January 1st 1881 (GROS:1881/644/9/36). In the 1881 census, four month old twin Walter was living with the family at 21 Granville Street, Glasgow (GROS:1881/644/9/106/4). Walter tragically died in infancy, aged 16 months, at 8.10am on May 11th 1882, whilst at home in Granville Street. The cause was whooping cough, which he had suffered for a month and fourteen days, as certified by Dr. George Allan. Walter's elder brother Robert informed the Glasgow registrar on the 12th (GROS:1882/644/9/1095). Arthur was born at 3.30pm on December 13th 1880 at 21 Granville Street, Glasgow, one of a pair of twins, the other being Walter who was born three hours earlier. His father, listed as a woollen warehouseman, informed the Kelvin registrar on January 6th 1881 (GROS:1881/644/9/37). In the 1881 census, four month old twin Arthur was living with the family at 21 Granville Street, Glasgow (GROS:1881/644/9/106/4). In the 1891 census, Arthur was listed at the same address as a 10 year old scholar (GROS:1891/644/9/119). In the 1901 census, Arthur was again recorded at 21 Granville Street, Glasgow, as a 20 year old stockbroker (GROS:644/9/103/9/16). A marriage and death record have not been found for Arthur in Scotland. William was Calum's and Jamie's great great great great grandfather - see below. Carscroft Monday the sixth day of June one thousand eight hundred and eight was born David Patton lawful son to William Patton weaver in Carscroft and Christian Hay his spouse and baptized the Twelfth day of June said year by the Reverend Mr Daniel MacKenzie minister of the West Church Parish Church. Like his brother John, David worked as a stonemason, and helped him to raise a stone to their mother's memory in Greyfriars Cemetery in Perth in 1835. But little did David realise that not five years later, he would end up having to raise a stone to John himself, after his tragic death in an industrial accident in Linlithgow, in April 1840. John was buried in the graveyard of St Michael's Church in the town, beside Linlithgow Palace, and it was in here that David erected John's memorial. Paton, contracted Dec 31. David Paton mason and Margaret Scott, married 4 Jan within this parish. The couple settled in Arbroath, but it is not known yet whether they had any children. In the 1861 census, David and Margaret were listed as living at 7 Ladyloan, Arbroath, with David listed as a 52 year old mason. His wife's 23 year old dressmaker niece, Margaret Simpson, was listed as residing with them, as was a boarder, 21 year old smith John Moncrief (GROS:272/00/001/001). And in the 1871 census, David and the two Margarets were still at 7 Ladyloan, although by this time, David was listed as a retired mason (GROS:272/00/03/034). David died at 11am on January 15th 1875 at his home of 7 Ladyloan in Arbroath. The cause was gastro-enteritis as certified by Dr William Manson. The informant to the Arbroath registrar on the 18th was a Margaret Simpson, who is recorded as his niece, although it is not yet known how she connects to the family (GROS: 1875/272/27). Margaret herself carried on living at 7 Ladyloan, and in the 1891 census for Arbroath she is listed as a 77 year old widow living in a house with 3 rooms with one or more windows. She was financed through "private means", and she had an unmarried servant living with her, a local Arbroath girl called Mary Swiles (GROS: 1891/272/3/1). was registered in Arbroath on the following day by William Ramsay, described as her "nephew by marriage" (GROS: 1892/272/341). Carscroft West Church Parish Perth Saturday the second day of January one thousand eight hundred and thirteen years was born Helen Paton lawful daughter to William Paton weaver in said parish and Christian Hay his spouse and baptized the third day of January said year by the Reverend David MacKenzie Minister of the West Church Parish Perth. Helen married David Bell, a Dyer of Claverhouse, from Mains and Strathmartin in Angus, at Perth on 15/4/1836 (GROS:1836/387/31/24). David was the son of David Bell and Margaret Whitfield, both from Mains. 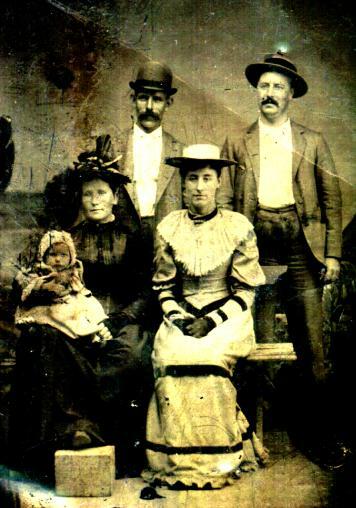 After the birth of their first daughter, Helen Bell, in 1837, Helen and David moved to Glasgow, where they had another child, David Bell, born on May 25th 1839. After two more daughters, the couple moved to Southward in Surrey, England, where daughter Ann Paton Bell was born on September 27th 1843, at 3 Webber Street, followed by John Macbeth Bell (Ainslie's great grandfather) on July 7th 1845, and James Fife Duff Bell (Wayne's great great grandfather) on July 31st 1847. Throughout all of this, David senior continued to work as a dyer. On 1/5/1849, Helen Paton and David Bell, along with their family, emigrated to Brisbane, Australia, aboard the ship Chaseley, on a voyage sponsored by James Dunmore Lang to bring good Presbyterian immigrants to Australia. From research carried out at the Western Australia State Library in Perth in July 2007, it has become clear that the original immigration records to Brisbane were destroyed by a flood in 1893, though details were copied from them into a register. From this transcript (IMM/112 p.4) it is clear that only three children accompanied David and Helen to Australia - Anne, aged 5, John MacBeth Bell, aged 3, and James Fyfe Bell, aged just 1. David was listed as a 31 year old former labourer from Perthshire, whilst Helen was listed as being 30. Having arrived down under, David began working initially as a labourer, and then as a storeman for Bobby Towns. He bought two allotments of land at Kangaroo Point in Brisbane - there is still a Paton Street and a Bell Street in the area today. A further parcel of land was purchased in South Brisbane, at which David built a store to sell goods to the bullockies. Being the only storekeeper in the area, he soon prospered. With his increasing wealth, he built a two story shop and a house for his family, and soon became a tea merchant. Having settled in Australia, the couple continued to extend their family. On September 3rd 1854 their daughter Amy Perry Bell was baptised in Perth (ref 1854/BP1083). David also became a great boating enthusiast and named one of his boats Helen, after his wife. Helen Paton eventually died at Main Street, Kangaroo Point on August 15th 1883, from paralysis of the brain, and was buried in an unmarked grave in South Brisbane Cemetery. Her widow, David, passed away himself in South Brisbane on May 22nd 1891, from old age and paralysis. Canal Street, West Church Parish Perth the Thirtieth day of July One Thousand eight hundred and Thirty seven was Born Heleb bell lawful daughter to David Bell Dyer in the said parish and Helen Paton his spouse and Baptised the Sixth day of August said year by the Reverend George Miller Minister of St. Leonards Church Perth. David was born in Glasgow on May 25th 1839. Ann was born on September 27th 1843 at 3 Webber Street in the parish of St. George, Southwark, Surrey, England (GROE:London/Surrey/St.George,Southwark/1843Dec/vol.4/p.144). Ann married Harry Clifford LOVE, with whom she went on to have four children. Harry died prior to July 1919. An article in The Argus carried details of the probate for his will in the issue dated Tuesday 15th July 1919, where he is stated to have been a merchant in Sydney, and which is soon due to come online at the NLA Newspapers site. John was born on July 7th 1845 at 3 Webber Street in the parish of St. George, Southwark, Surrey, England (GROE:London/Surrey/StGeorge,Southwark/1845Sep/vol.4/p.454). BELL-MAYNE - On the 19th October, at Wickham Terrace Church, by the Rev. T. Jones, John Macbeth Bell, son of Mr. David Bell, South Brisbane, to Mary Jane, second daughter of the late Mr. John Buchannan Mayne, solicitor, Dublin. The couple went on to have nine children. Mr. John McBeth Bell, of 162 Subiaco Road, Subiaco, celebrated his 90th birthday yesterday, and was visited by many old friends who wished him longer life and continued happiness. "I just missed being an Australian native by eight months," said Mr. Bell in a strong, hearty voice, and with twinkling eyes. "My parents came to Queensland in the second free ship, when I was eight months old. They were Scotch folk, but I was born in England." Mr. Bell came to Western Australia 51 years ago, and for the last 30 years has lived in his present home. He took an active part in suburban affairs until recently. His freinds say that he has given up nearly all his activities, even his garden, of which he has been so fond, seeing little of him now. Mr. Bell recalled vividly yesterday the time when bullock drays backed into "Shenton's yard" at the corner of Hay and William streets, with their loads of hides and skins which were exchanged for stores, and went up country again. "Kangarooing was my great sport in my young days," he said. "They talk about horses today. But none of them could come up to Hellfire Jack who could carry me over a six-foot fence like a bird!" "They're crying out about population," he continued. "My wife had nine children and I have got 61 descendants. So that's not so bad." Mr. Bell, whose facilities are well preserved, admitted to having an ambition to live till he is 105. David married Bessie Caroline Shaw. John married Elizabeth C. Charnley. Mary was born in Brisbane, Queensland, Australia on February 6th 1880. On September 16th 1907, in Subiaco, Western Australia, Mary married Ashley Cooper, the son of a convict from England called Charles George Harvey Cooper (b. 1827) who had arrived at Australia on board the ship "Sea Park" in 1854. In 1860 Charles had married in Perth and then purchased property in central Perth in 1864, his occupation being Clerk to the Attorney General, and senior Law Clerk to a prestigious law firm called Stone (previous Attorney General) & Burt. He had at least one son, Ashley. Mary and Ashley in turn are known to have had at least one son. Alan was born in Claremont, Western Australia on January 2nd 1910. Alan married Dorothy Wilson Thomas, and the couple had at least one daughter. Alan eventually died on July 21st 1997 at Mount Lawley, Western Australia, and was buried at Karrakatta. Robert married Marlene Maurice and has two children. Alan married Dianna Harwood and has four children. Colin was born in Melbourne, Australia on December 2nd 1941. Pamela married Giuseppe Rocca and has four children. Michael married Stacey Jane Annettes and has four children. David married Julie Elizabeth Berente and has five children. Paul married Debra Ellen Leeder and has one child. Steven married Emma Casey and has one child. Donald married Carmel Maginn and had two children with her. Donald subsequently remarried to Jan Helsham (born 1944). James was also born on Blackfriars Road, Southwark, Surrey, England, on July 31st 1847. James had children from three separate partners. James first wife was Mary Devine, with whom he had a daughter. Mary died in 1876. It may be a transcription error, or it may be genuine, but James had a second son in 1882, this time to Margaret Townshend Jennings. Had he committed adultery?! All that is known of Ellen is that she married Michael Joseph Honan at some stage in her life. James went on to die in infancy at the age of 6. Amy was born in Brisbane, Australia. DOWLING-BELL - On the 11th April, at St. John's Church, by the Rev. John Sutton, James William Dowling, eldest son of Mr. Henry Dowling, St. Albans, Geelong, Victoria, to Amy Perry Bell, youngest daughter of Mr. David Bell, Stanley Street, Brisbane, South Brisbane. It is believed Amy had six children. A descendant of hers, Wayne McLennan, still living in Australia, has been in touch, and can be contacted pammclennan@ozemail.com.au. Carscroft West Church Parish Perth Friday the Fifth day of July one thousand and eight hundred and sixteen was born Mary Manson Paton lawful daughter to William Paton weaver in said parish and Christian Hay his spouse and baptized the seventh day of July said year by the Reverend Mr William Aird Thomson Minister of the Middle Church Parish Perth. In the 1841 census, Mary is listed as living with her father at Carr's Croft (listed as Kerr's Croft), her age incorrectly stated as 24 (GROS: 1841/387/4). Six years later, on June 24th 1847, Mary married a weaver called Alexander Robertson in Perth. In the 1861 census, both Mary and Alexander were living at 47 Strathmore Street in Perth, with Alexander listed as a cotton weaver (GROS:387/01/41/1/22). By the time of the 1881 census, Mary was listed as a widow, aged 65, and living at 61 Strathmore Street, Kinnoull, Perth, with her job listed as being a winder (GROS:1881/387/36/22). Mary died on February 22nd 1897 at the age of 82, still living at 61 Strathmore Street in Perth (Kinnoull). The cause of her death was senile asthenia, ascertified by Dr D. A. Carruthers. The informant to the Perth registrar on the following day was R. Robertson, Alexander's sister (GROS: 1897/387/0/130).